The story behind this post begins like this- I meet my friend for lunch at a chic restaurant/store called Forty Five Ten in Dallas. After lunch we do a quick tour of the store side which is beautifully curated with the most spectacular clothing and accessories a woman can dream of when I noticed some beautiful bottles. My friend tells me they are Frederic Malle perfumes. I first fall in love with the packaging and then my friend tells me she has a certain one. So I spray some of that particular scent on.... Wao, interesting, different.....a few hours later I was hooked. I could not stop smelling my wrist. 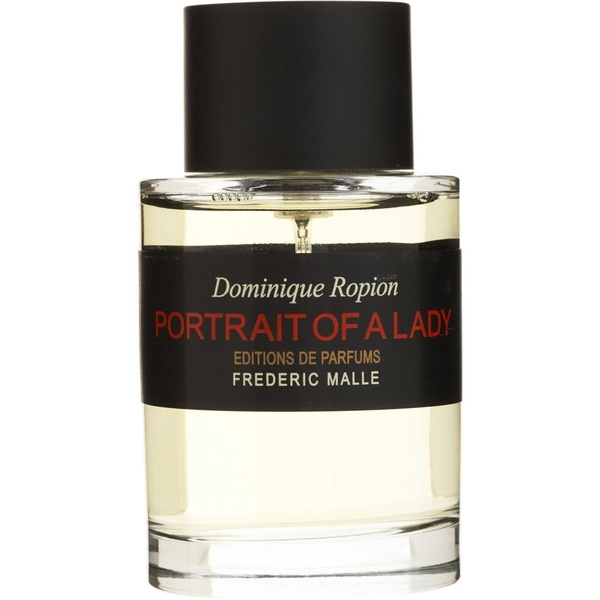 And so begins my new obsession with Frederic Malle. 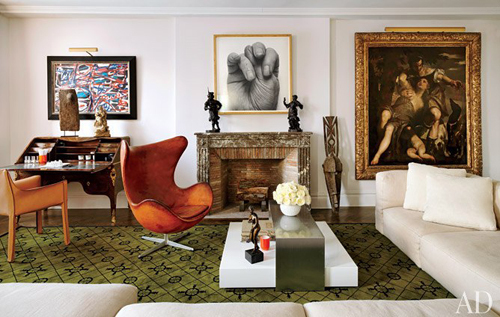 Then researching him.....I find his new Fifth Avenenue home was in Architectural Digest last year. And as I start seeing the photos....I begin to get obsessed with his gift for design as well. Who is this person with such a good nose and such good taste? His grandfather founded Christian Dior Parfums and his mom also worked in the industry, hence the nose, and his studies in architecture and art at NYU gave him the basis for his wonderful interior design. 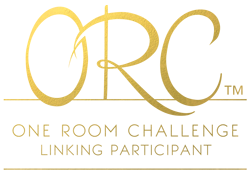 To start his perfume business he invited nine of the top perfumers in the world and gave them creative and financial freedom....and what does that produce? well, HEAVEN in a bottle! Trust me. So this is his home. I love the art and how he juxtaposes the modern with the renaissance style paintings. He does the same with the furniture- the 18th century desk with the modern and amazing Hansen Egg chair (that leather is just delicious). 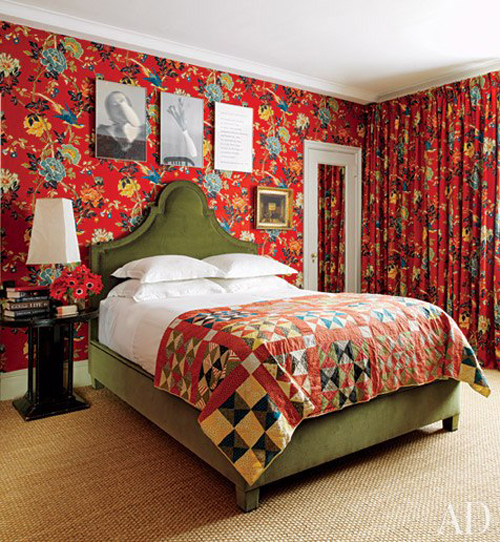 Again the antique painting over a modern bed and bedside table. 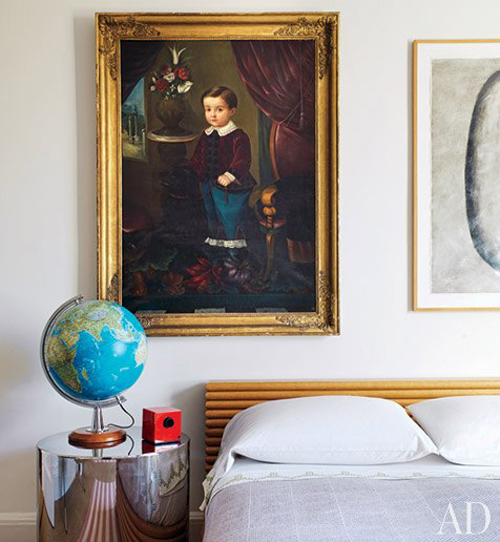 I love that perfectly positioned globe to break the hard edges of the frame and the bed. And this is a gallery wall done right- the pieces are far apart and lower to the ground than usual. What a cozy and beautiful bedroom. Having such heavy fabric all around feels comforting and warm. Don't you think? When I was growing up I had a similar set-up in my bedroom. The walls and the curtains were all the same fabric, and I loved it. See more of his home here. Interesting how a little spritz on my wrist took me into this fun little learning journey. So, maybe I get this perfume for Mother's day? The one I liked is En Passant (hint, hint). You can buy them here. Found your blog through small shop, and i'm now obsessed. You had me at Forty Five Ten! I dream about the T Room. I went to school in Dallas, and would go weekly. loving your blog - now following! love that bedroom- I love the jewelry at 4510 too! A bit traditional, but so sensationally chic! 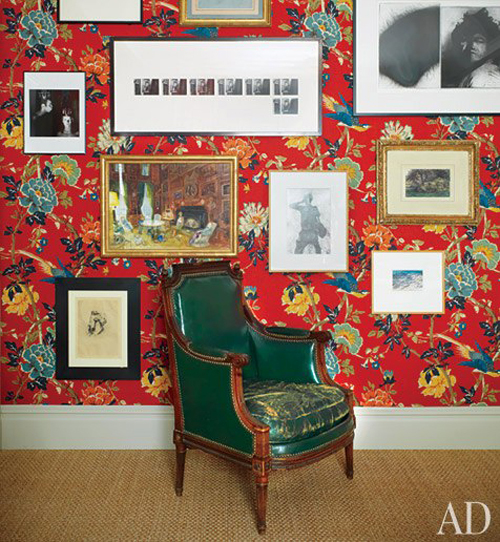 That red wallpaper is stunning...such a showstopper!